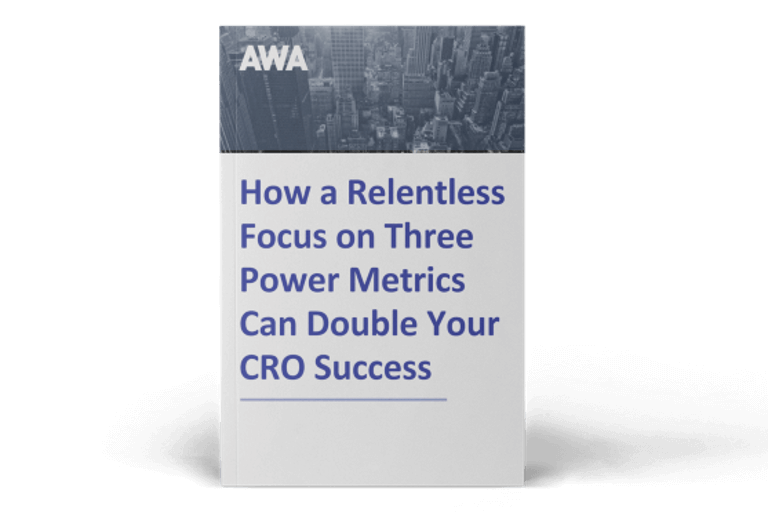 Ever since the term CRO was coined, the R has stood for “Rate”, as in Conversion Rate Optimisation. Optimisation refers to continuous improvements or ongoing increases of something to its optimal state. Conversion is the action you want someone to take – whether that be to download an e-book, click through to another page, request a free trial, make a booking or buy a product. The percentage of visitors who perform these conversions is reflected in the Conversion Rate. It may seem logical that if you get a higher Conversion Rate, you’ll also get higher revenue, but in fact that’s not always the case. There are other metrics which more clearly signal the success of, or opportunities on, your website. And it’s these metrics that will give you increased revenue. If you have a website that is meant to make money (rather than generate leads) – such as an e-commerce site – then we would suggest that you need to be looking at measurements beyond the Conversion Rate to metrics closer related to actual revenue. Read on to discover why, if you have a revenue-generating website, a focus on Conversion Rate alone may be costing you and your business dear. In a past life, I worked for a travel business whose Conversion Rate rocketed as Christmas approached. Did we celebrate this sudden success of our website? No. Conversion Rate went up only because visitor numbers went right down. The fact is that, unlike traditional e-commerce, peak trading for travel comes in January. Pre-Christmas traffic and sales are always low, because most people are spending their money on gifts, not holidays – but those who do come to the site are highly motivated to buy. Below is an example of two websites, one with a healthy Conversion Rate of 10%. The other has only half that, with a Conversion Rate of just 5%. They both have the same number of visitors each month. Which website would you rather be responsible for? The one with the higher Conversion Rate or the one which generates a million pounds of revenue? It just goes to show that Conversion Rate is one metric of website success. But you can’t always bank it. What metric should your e-commerce business use to measure your online success? As the example above showed, Conversion Rate has a ‘revenue blind spot’ which means it doesn’t give you the complete picture. Not the ideal metric to optimise for then. That’s why we optimise for Revenue per Visitor (RPV), which captures both Conversion Rate and Average Order Value (AOV) in a single metric. The CONVERSION RATE x the AVERAGE ORDER VALUE. Both these methods above will give you the same answer. In the first, Conversion Rate has gone up by 20% from 5% to 6%, resulting in 4,000 extra orders, £200,000 worth of extra revenue and consequently, RPV has increased by 50p to £3.00. In the second, AOV has gone up by 20% from £50 to £60, resulting in no extra orders but £200,000 worth of extra revenue and consequently, RPV has increased by 50p to £3.00. In the third, Conversion Rate has gone up by 20% from 5% to 6%, resulting in 4,000 extra orders. In addition, AOV has gone up by 20% from £50 to £60. This has led to £440,000 worth of extra revenue and RPV has increased by £1.10 to £3.60. If you’re responsible for improving the effectiveness of your website, it may be time to stop thinking your job is to increase website’s Conversion Rate. Your job is to increase the revenue you generate from your site, be that by increasing your website’s Conversion Rate, Average Order Value or both. 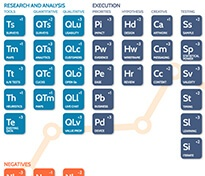 Conversion & Revenue Optimisation – will it ever take off? Where do you sit in this debate? Are you convinced of the value of measuring conversion AND revenue? 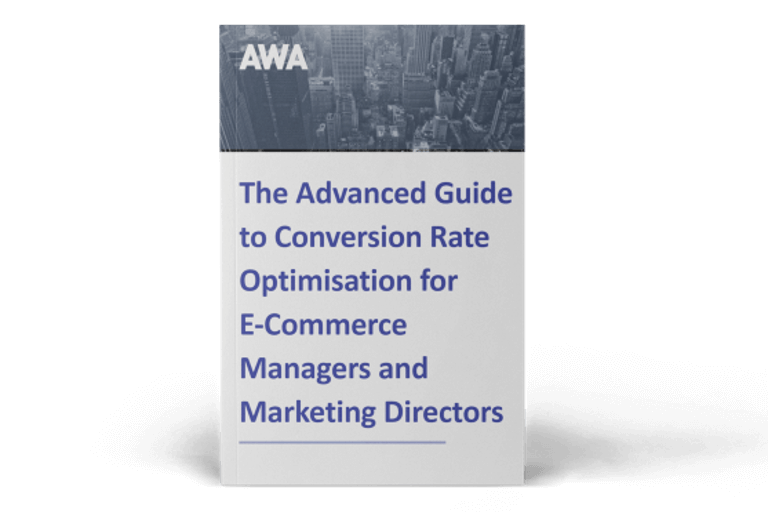 If you’ve seen the benefit in optimising your website for conversion and revenue, and you’re interested in getting further help from the experts, read our ebook below for 8 questions you must ask to find, hire and get great results from CRO professionals.